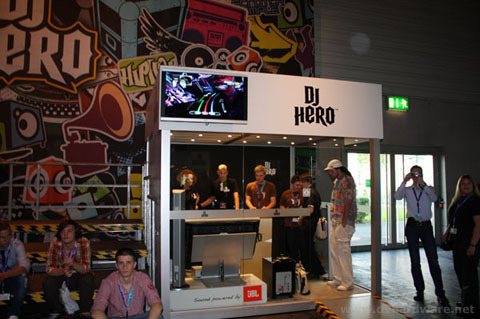 DV Hardware went to the premiere of Gamescom, a new video game expo that took place in Cologne, Germany from August 19th to August 23th, 2009. 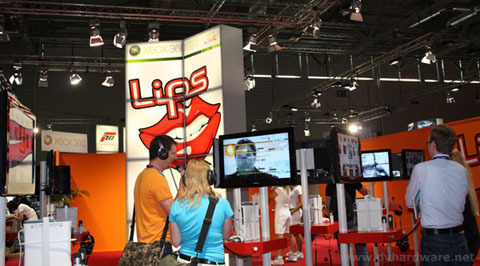 Gamescom is the unofficial successor of Games Convention, a popular fair that was held in Leipzig until last year. 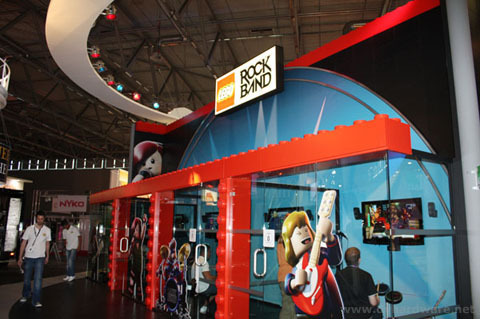 Even though the folks in Leipzig aren't too happy about it, Europe's biggest gaming trade show is now hosted by Koelnmesse in Cologne which offers a total of 120,000 square meters of exhibition space. Not only is there more room for exhibitors and business meetings, but Koelnmesse also has the advantage that it's easier to reach for international visitors. Gamescom can be seen as a multi-day game festival for teens and young adults, during the day you can try out all the latest PC and console games at Gamescom, in the evening there are music events (see Gamescom Festival) and other activities in Cologne and at night gamers can sleep at gamescomCamp, a camping on the banks of the Rhine river - it's about a ten minutes walk from the North entrance of Koelnmesse. 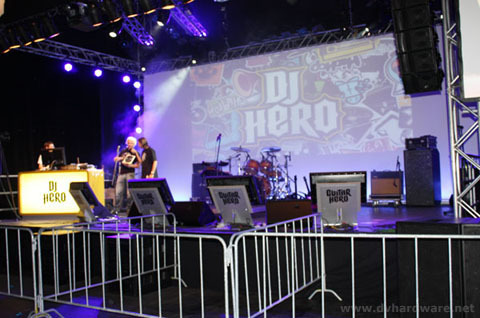 The gamescomCamp provides a camp/fair combi-ticket with cheap accommodation, an outdoor chill-out zone with campfire, an action area, free drinks & snacks, and free WiFi access. 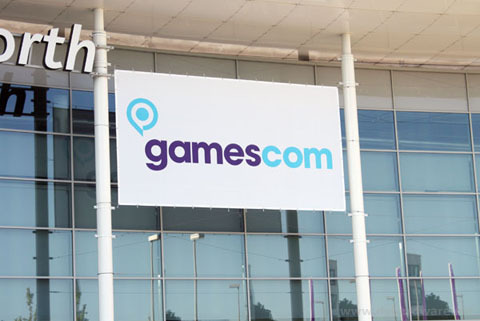 A total of 458 exhibitors from 31 countries were present at the first edition of Gamescom, and over 150 game premieres were presented to eager gamers. 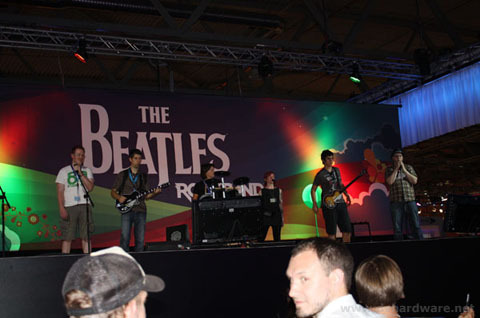 The first edition was a big success, around 245,000 visitors came to Gamescom, making it the largest games fair in the world. 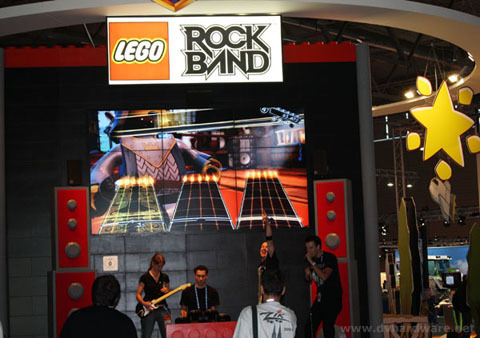 In this pictorial I'm going to give you a taste of the general atmosphere and experience at Gamescom with lots of photos of the booths, games and more. 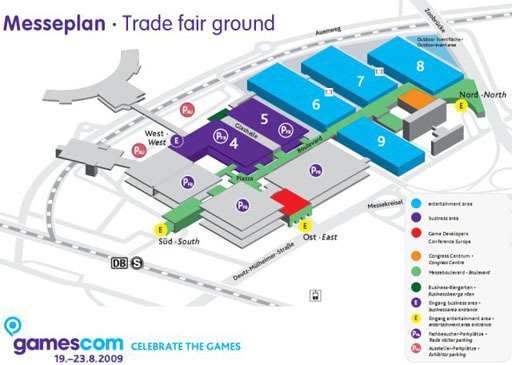 Pictured below is a map of Gamescom, the blue areas are the four halls that were this year's Mecca for European gamers. 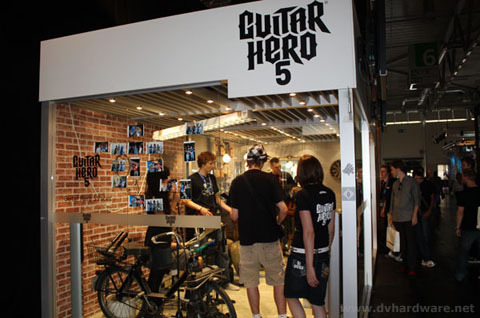 DV Hardware was present at Gamescom on the press day (August 19) and the first day the show was open for the public (August 20). 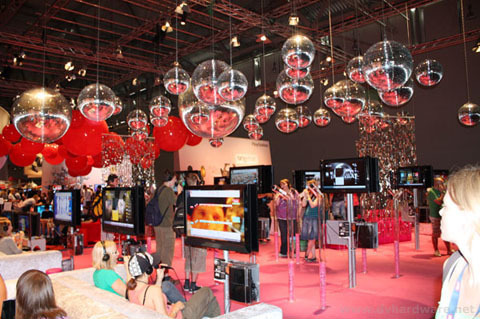 Don't be surprised if the Messe looks a bit empty on the photos, most of them were taken at the press day when there were just a couple of thousand visitors instead of the tens of thousands that were there on the other four days of the fair. 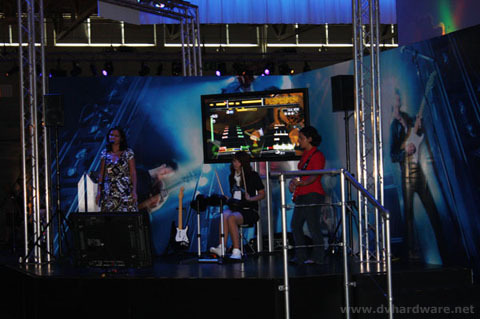 By the way, Game Developers Conference Europe (GDCE) was also hosted at Koelnmesse from August 17-19, 2009 but we don't offer coverage of this event as this is specifically for game developers and less interesting for the average gamer. 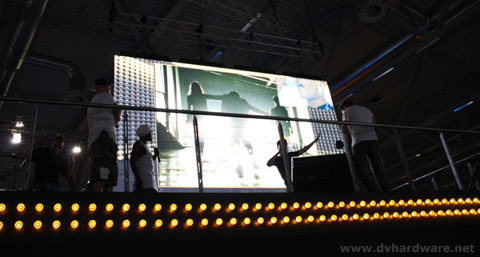 Koelnmesse is a very big and modern exhibition space, unlike some other places I've visited in the past this exhibition ground is very clean and makes efficient use of natural light. 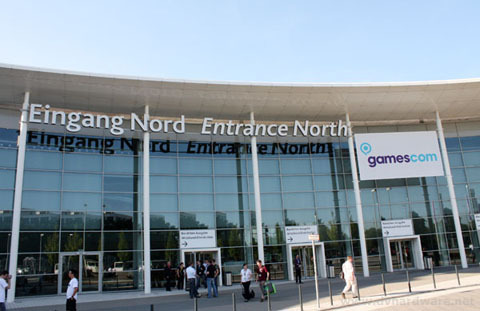 Gamescom is easy to reach by public transport, the Messe has sufficient parking space and there are plenty of hotels in the vicinity.